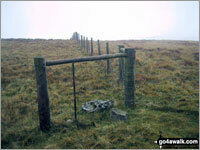 If you include just the Wainwrights and the Deweys there are 6 tops to climb, bag & conquer and the highest point is Ancrow Brow (Swinklebank Crag). 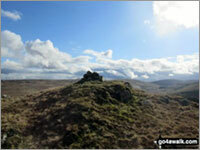 A go4awalk.com Peak Bagging Map and Hill Tick List featuring Ancrow Brow (Swinklebank Crag) will be available soon. 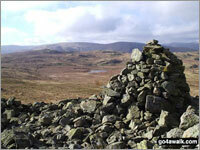 A go4awalk.com Peak Bagging Map and Hill Tick List featuring High Wether Howe will be available soon. 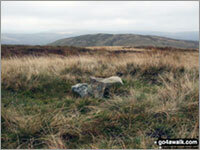 A go4awalk.com Peak Bagging Map and Hill Tick List featuring White Howe (Bannisdale) will be available soon. 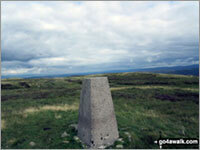 A go4awalk.com Peak Bagging Map and Hill Tick List featuring The Forest (Bannisdale) will be available soon. 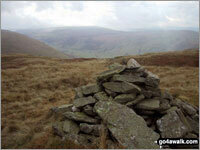 A go4awalk.com Peak Bagging Map and Hill Tick List featuring Lord's Seat (Crookdale) will be available soon. 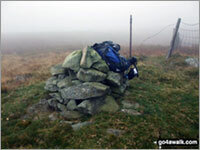 A go4awalk.com Peak Bagging Map and Hill Tick List featuring Seat Robert will be available soon.